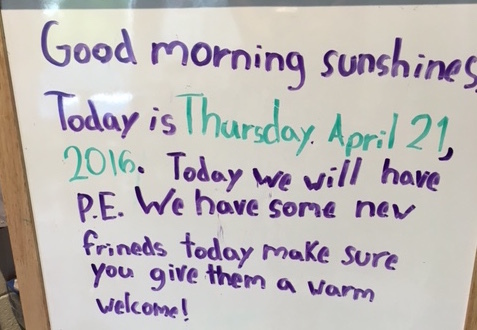 What Happens When Kids Run Their Own Morning Meeting? Becoming a kindergarten teacher has given me a whole new perspective. It’s taught me an immense amount about what it truly means to be a child: the natural curiosity, the innate joys of exploration and play, as well as the resilience and and savvy of young children. It’s also solidified for me just how much we underestimate young ones. We spend so much time trying to help them avoid struggle and pain, that we forget these struggles are critical to the growing process. We do this with only the most positive of intentions, not understanding that it’s actually working against us. And so, when I started having my students run their own morning meeting this past December, I felt exactly some of those things. I noticed them fail, I watched them argue with each other, and I stood idly by while little got accomplished in the meetings, short of bickering and dysregulation. But I look at them now, almost six months later, that I stood back, let them be children, and helped them to reflect on their behaviors, instead of directing them. 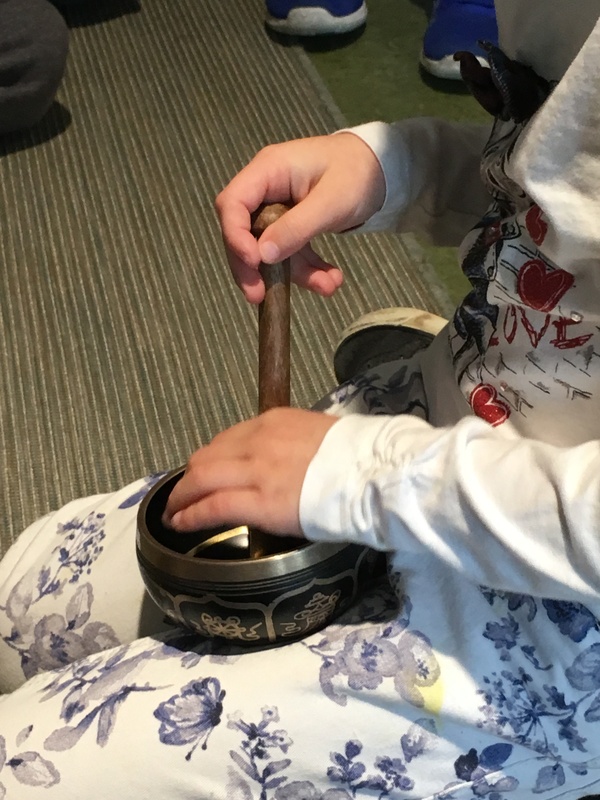 Here, a child grabs the singing bowl to lead us in mindfulness. Morning meeting has always been intended as a time for social-emotional learning, to focus on objectives such as emotional awareness, conflict resolution, and empathy. And there are many frameworks out there that build strong structures for talking about feelings and sharing concerns, and there are even curricula that teach role playing, provide scenarios, and otherwise hold the class and the teachers accountable to social-emotional education. As with many boxed curricula, however, I’ve never found that it provides the same level of authenticity that immersing children in their own struggles does. The high-functioning children generally possess the ability to empathize with one another and the instructional resources, whereas the children who need it most sense the program’s inauthenticity, and as a result, disengage. With any curriculum, it’s imperative that the children can see themselves in it, and what better way than to have them build it on their own? I started in December by having them brainstorm pieces of the morning meeting that they’d want to include. We even came up with an order. 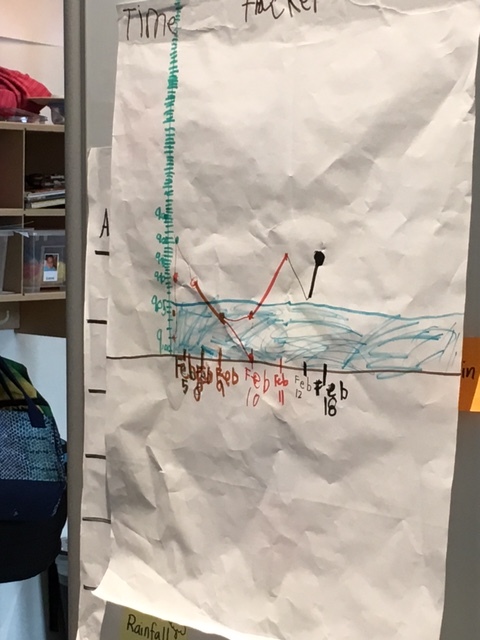 It had many of the usual things, like morning message, calendar, greeting, and an activity, and as it continued to evolve, I asked them if we could include things like charting the sunrise and sunset times and tracking the rainfall to along with our unit on change. And in January, after giving them a week of teacher guidance, I let them know that it would be their turn to run the meeting. “How does that make you feel?” I asked the children. They knew why. They knew they’d have trouble getting their peers to listen, and they knew how difficult their class could be to manage sometimes. I knew it, too. But I also knew that forcing them to go through the process of learning to manage themselves, while likely painful and seemingly counterproductive at times, would benefit them immensely in the long run. The first week was just that: painful and (to the untrained, short-term focused eye) seemingly counterproductive. The children regularly felt “red” or “yellow,” partially due to the fact that such responsibility was overwhelming and discombobulating, but also because their friends simply didn’t listen to them. They would be rolling around the floor, talking out of turn, and even getting up and leaving. You may be wondering how I expected this to get any better, simply sitting idly on the side, but perhaps “idly” is a poor choice of words. I was anything but idle. I was videotaping many of the sessions (for later reflection), and intervening if I felt as though things had gotten too out of hand. But what was critical was not that I intervened; instead, it was how I intervened. My interventions, in fact, got me to the initial objectives of morning meeting, the ones that I mentioned before: emotional awareness, conflict resolution, and empathy. 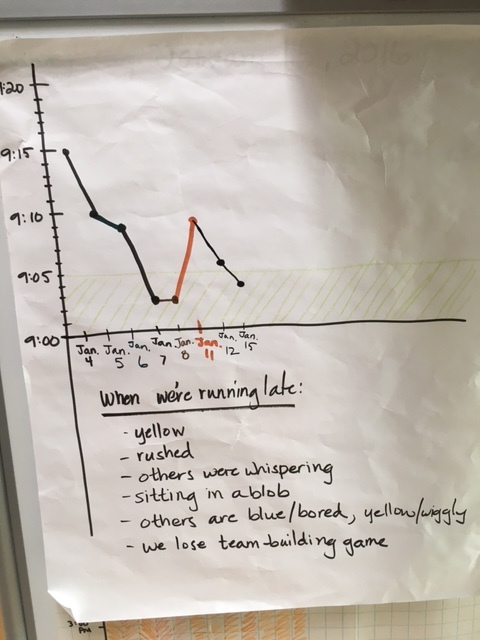 In one of our first time-tracker sessions, originally led by me, but later led by them, we were able to see the social and emotional effects of being late. When I intervened, I never told them they were doing it “wrong,” per se. Instead, I helped them focus inwardly and bring what was inside out to the rest of the group. I asked them how it made them feel when their friends didn’t listen to them, and I encouraged them to use their Peace Talks to solve these problems moving forward. These natural problems that occurred also provided the impetus for some student-created structures that helped facilitated morning meeting. The children came up with a group hand-sign to get everyone’s attention, and we created a chart that showed jobs, and the order. One girl even created an arrow that said “transition” on it, so we’d know when it was time to transition to the next agenda items. Suddenly, these structures, that would have otherwise been mundane and teacher-directed, became relevant out of an authentic need, and driven by the needs and wants of the students. In fact, I began to use them, too. I would do my best to raise my hand when I needed to speak (unless, of course, all hell had broken loose), and I would use the group hand-sign to signal that someone in the group needed their attention. So what happens when children run their own morning meeting? This student, in particular, had had a very difficult time with this. He would always forget to do it, and many times, it would leave the group waiting. The group felt frustrated by it, and slowly but surely, he received this feedback from them, and experienced first-hand, the natural consequences of not remembering to do his job. The light in his eyes beamed with pride. We all walked over to begin our morning meeting promptly at 9:00, the little boy who wrote the morning message still standing next to the easel. “I am so proud of myself!” he exclaimed almost jumping off the group. I couldn’t help but smile and laugh quietly, the bottoms of my eyes welling up with tears. When children run their own meetings–in fact, when they become responsible for themselves–it not only teaches them the critical skills of resilience, responsibility, and goal-setting, it teaches them to feel good about themselves for acting on feedback, approaching struggle with a growth mindset, and achieving their goals through persistence and reflection. This child, in particular, would not have felt so proud had he not gone through the process of failing so many times. But luckily, with the support of his class and a safe place to fail, he worked through the challenge and ended up so much better off for it. So the next time you consider doing something for your class–or your child–ask yourself: Am I doing this for them? Or am I doing this for me? Chances are, having them do it for themselves will serve them much better in the long run. Prev Want to Enable Personalization in Your Classroom? Try These 4 Things. Next Why Do Worksheets Make Us Feel So Safe?